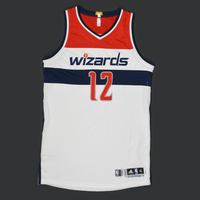 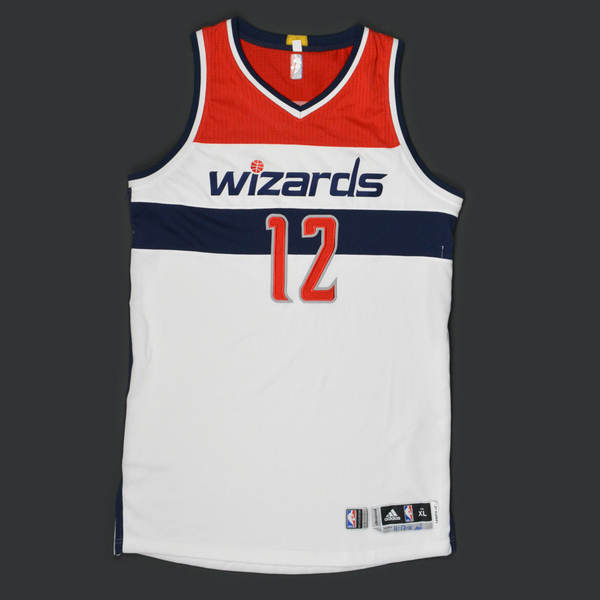 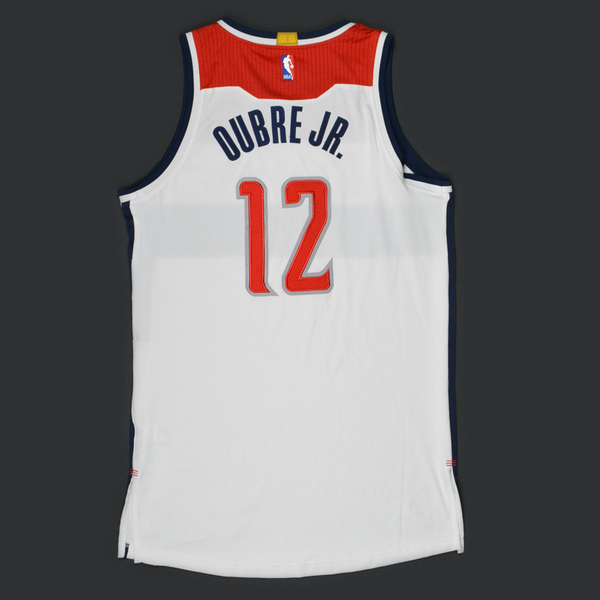 Oubre wore this jersey during the Wizards' 115-86 victory over the Milwaukee Bucks on November 17, 2015 at Verizon Center in Washington, DC. 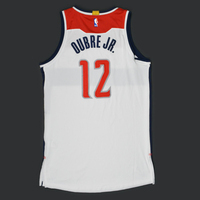 He played 8 minutes and registered 7 points with 3 rebounds. 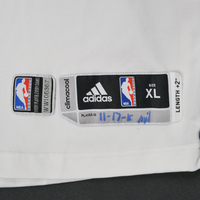 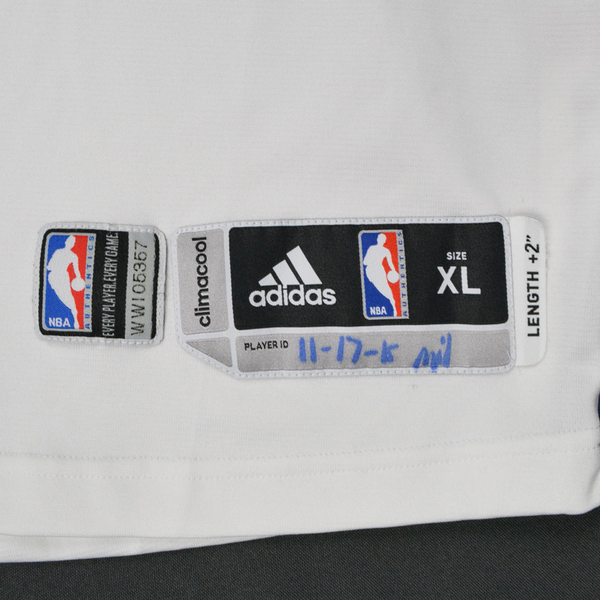 ""11-17 MIL"" has been handwritten on the jock tag.